ALL ARE WELCOME! COME AND SEE! MEET AND COMMUNE WITH OUR LORD AND SAVIOUR JESUS CHRIST! Welcome to the website of Sts. 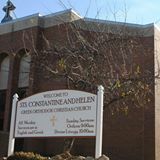 Constantine and Helen Greek Orthodox Christian Church in Mansfield, Ohio. Through this web site, we are pleased to be able to introduce you to the Person and Worship of our Lord and God and Saviour Jesus Christ and His local church community. We invite you to come and experience that same worship of Him and fellowship with Him as it is expressed in the life of the church throughout all of time. If you are curious about the Ancient Orthodox Christian Faith, on becoming a new member of our parish, or are even considering membership, these web pages will acquaint you with what our parish offers to those who support and sustain her. To those who already belong to the church, we hope this site will provide you with the assurance that your sacrificial offerings are received with profound respect, and are utilized to maximum effectiveness. They will, in any case, enable you to make the informed decisions that are necessary for a meaningful relationship with your church! At Sts. Constantine and Helen Greek Orthodox Church we worship God as He has taught us through Scripture and Holy Revelation. We are Trinitarian, and worship God as He revealed Himself, in the Name of the Father and of the Son and of the Holy Spirit! While our community has its strong roots in both the Greek and Macedonian faith of our local community and church dating back to 1924, our church is filled with Orthodox Christians from ALL WALKS OF LIFE, including Romanian Orthodox, Carpatho-Russian Orthodox, Albanian Orthodox, Egyptian Orthodox, American Orthodox, as well as many American Orthodox Christians as well as American Converts to the Ancient Eastern Orthodox Faith. Please feel free to visit, to worship, to ask questions, and to engage the Holy Orthodox Faith as you so desire! It is our mission to fulfill the words of Jesus Christ in the Gospel of Matthew 28:19, where He said to all faithful Christians, "Go therefore, and teach all nations, baptizing them in the name fo the Father, and of the Son, and of the Holy Spirit." Join us this Sunday for Sunday Services and Worship! 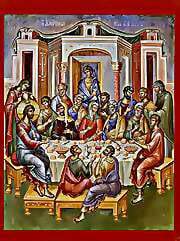 continue with Divine Liturgy Services at 10:00am! FESTIVAL 2019 is coming! Click here for more info!!! Christ is Amongst Us! He is and Always Shall Be!